On January 14 the Canadian government announced the contract award for LOC Canada’s development of a risk assessment methodology related to hundreds of vessels of concern (abandoned, wrecked or dilapidated vessels) in Canadian waters or on Crown land. The risk assessment methodology, expected to be delivered by this summer, will help the Canadian Coast Guard assess the level of risk these vessels pose to the environment, the economy and public safety. LOC is partnering with Dillon Consulting, a Canadian consulting firm with extensive expertise in risk assessment methodology development / application as well as community outreach and engagement. 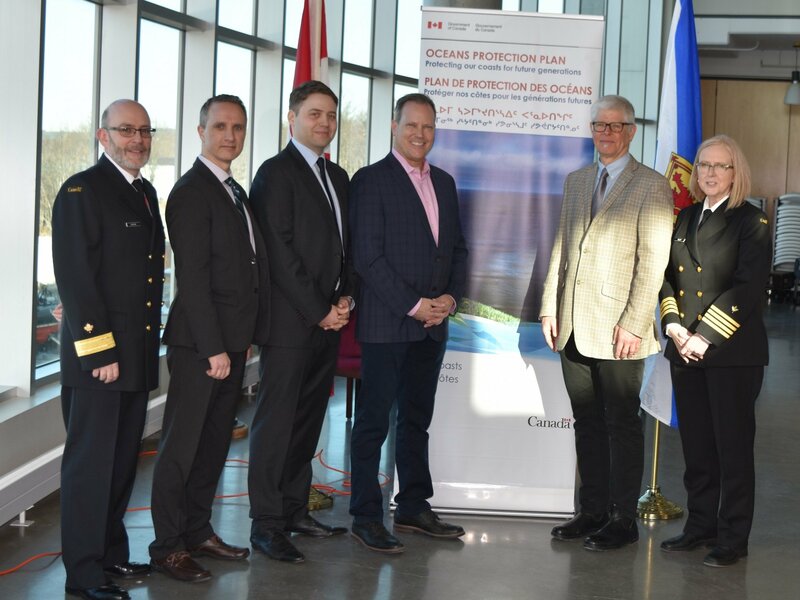 Ewan Browell (third from left), Managing Director of LOC Canada, is shown at Monday morning’s media announcement in Dartmouth, with the local Member of Parliament as well as representatives from Canadian Coast Guard and Dillon Consulting. Brian Leblanc, Canadian Coast Guard (CCG) acting Assistant Commissioner, Atlantic Region.